The Coveo connector uses a Google API (YouTube Data API v3) to retrieve information about the different items in YouTube (videos, users, channels). 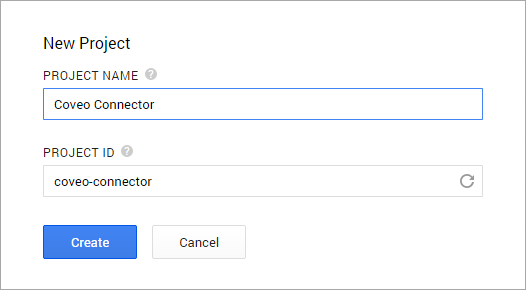 You must enable the YouTube Data API v3 API and create an API key to authorize the Coveo connector to access the YouTube public content that you want to index. 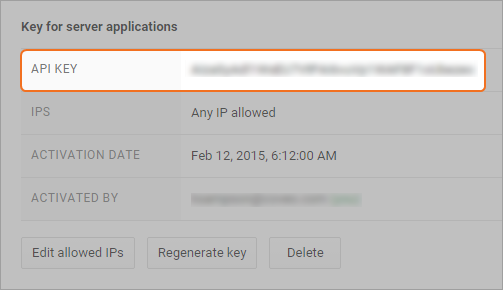 Note: The YouTube Data API v3 API does not provide account information or give any sort of authentication rights. Go to the Google Developers Console, and log in using a Google Account. Note: You can also select an existing project and start this step from substep c.
In the Projects page, click Create Project. In the New Project dialog box, enter a project name and ID, and then click Create. In the sidebar on the left, click APIs & auth, and then click APIs. In the Project Dashboard page, click Enable an API. In the APIs page, ensure that for YouTube Data API v3, the Status is set to ON. 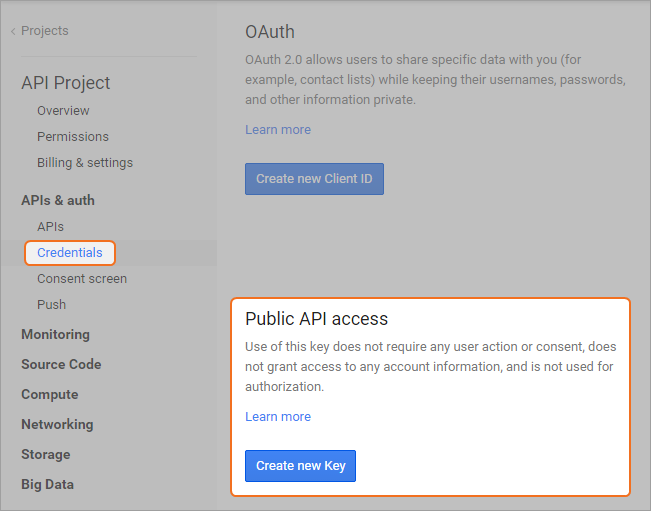 In the sidebar on the left, under APIs & auth, select Credentials, and then in the Public API access section, click the Create new key button. In the next Create a new key dialog box, click the Server key button. 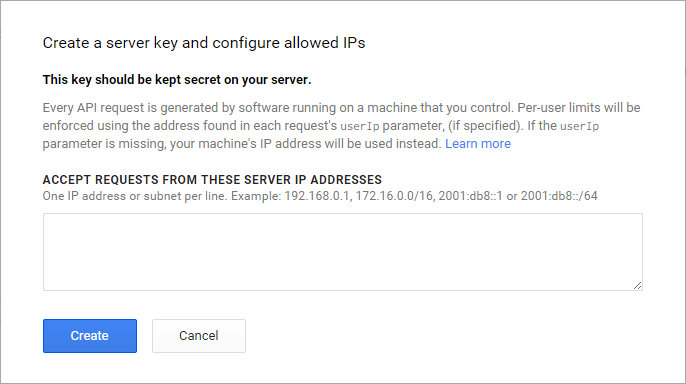 In the Create a sever key and configure allowed IPs dialog box that appears, click Create. Note: When you want to limit the utilization of your API key, you can enter your server path, meaning that only the requests from your server will be accepted. Back in the Google Developers Console, in the Key for server applications section, take note of the API key that you will need later to configure your YouTube source.